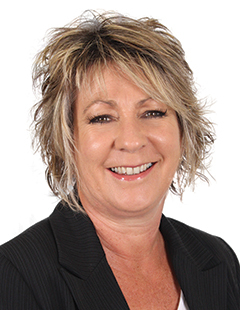 Vicki Bilton has garnered many an award from Eves Property Management and been named top property manager for the region at the Waikato/BOP Real Estate Institute Awards. Vicki cannot speak highly enough of the Eves Property Management company culture, systems and support. She was a sales person for Eves before the opportunity arose in 1999 to build a management portfolio under their reputable brand. Her only break has been 18 months house sitting on the Gold Coast with her husband. On their return to Rotorua she returned to Eves. "It was the only company I wanted to work for. They are like my extended family. Eves are extremely loyal and respectful to their staff and offer amazing support and excellent resources. They have grown into a large company without losing sight of everyone's individuality." Vicki takes advantage of the company's ongoing training to keep abreast of changes in the industry and enhance the wealth of knowledge and personal experience gained over her many successful years as a property manager. As I live in Auckland, I made an effort to ensure I found a proactive, organised, skilled and reliable property manager for my Rotorua rental property. After a number of calls I spoke to Vicki Bilton and knew I had found the right person for me. In no time she found excellent tenants with impeccable references, 3 years on the property is in great condition and I have never had any issues. Having recently purchased a house in Papamoa, I tracked Vicki down again as she had moved to the region. Once again being out of town, Vicki was so supportive, organising things I couldn’t get to and then she found yet again the best possible tenant, after only marketing the property for 2 days! Vicki is a great communicator and a seasoned property manager, it’s my pleasure to recommend Vicki to anyone looking for an outstanding service. Vicki, I'm absolutely amazed at your efficiency and ease of doing business with. We are so relaxed and content with the arrangements you've made. We would like to sincerely thank you for your help and assistance. Nothing has been too much trouble to deal with and many thanks again to you on handling a delicate and frustrating period over the sales campaign of the property, I can't thank you enough for your "beyond the call of duty" attitude. I wish you and the rest of the Eve's Rental team in Tauranga all the very best and would highly recommend your services to all that need them for the future. Vicky became the property manager for our property in Gate Pa when we had problems with our tenants. She helped us through a difficult time with her excellent services. We are very happy with the new tenants Vicky found for our property and we can recommend her professional services highly. I was introduced to Vicki by an Auckland real estate agent for Harcourt’s, who recommended her as competent and successful at her job. I engaged Vicki and Eves to find a tenant for a Tauranga property I had recently purchased. Vicki found a good tenant quickly and kept me informed every step along the way. Vicki is now managing that tenancy and while it is early days, her level of contact etc has been excellent.